The shooting occurred in the town of Bangor today around lunchtime. It’s believed there may be a drugs link to the incident. A MAN IN his fifties has died following a shooting incident in County Down earlier today. Another man was wounded in the incident which happened around lunchtime in Bangor. UTV reports that police believe there was a drugs link to the shooting. A number of men opened fire in a house in the Clandeboyne area and shot the two men. Both were removed to hospital where one of the men died. The injured man is in his forties and his wounds are not believed to be life threatening. 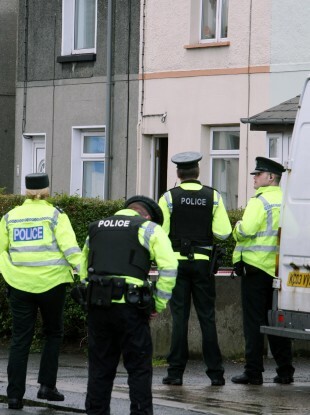 A PSNI spokesperson has told TheJournal.ie that the motives behind the killing cannot be verified as the investigation into the shooting is at an early stage. A man was arrested a short time later in south Belfast and police say that one man was arrested. Email “One man killed and another wounded in Co. Down shooting”. Feedback on “One man killed and another wounded in Co. Down shooting”.